The numbers are pitiful: In August, the NFL’s favorability rating among its fans was at 57 percent. A month later, it had dropped to 44 percent. And that was among all fans polled. Among the NFL’s target market — males aged 34 to 54 — it was even worse: Favorables dropped from 73 percent to 42 percent. This came on top of another poll by the Sharkey Institute published two days earlier that showed that nearly a third of NFL fans are watching less, with half of them blaming the National Anthem protests. Hidden in that poll was this: Just 38 percent of fans said they support the kneelers. In response, DirecTV is allowing disgruntled fans a full refund of their “Sunday Ticket” NFL packages. I left today’s Colts game because President Trump and I will not dignify any event that disrespects our soldiers, our Flag, or our National Anthem. At a time when so many Americans are inspiring our nation with their courage, resolve, and resilience, now, more than ever we should rally around our Flag and everything that unites us. While everyone is entitled to their opinions, I don’t think it’s too much to ask NFL players to respect the Flag and our National Anthem. I stand with President Trump, I stand with our soldiers, and I will always stand for our Flag and our National Anthem. For instance, in April his foundation donated $25,000 to an outfit called “Assata’s Daughters,” which the media calls a “direct action” resistance organization, named after an individual who murdered a policeman back in 1973 and who subsequently escaped from prison and fled to Cuba where she was granted asylum. 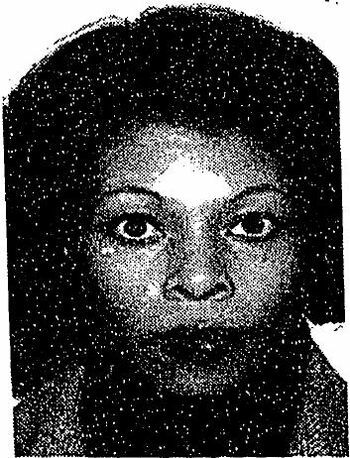 Assata Shakur (shown above), born JoAnne Deborah Byron, joined the Black Liberation Army (BLA), a violent offshoot of the Black Panthers, in the early 1970s. Because of her radical activities, she was targeted by the FBI’s Counterintelligence Program (CONTELPRO) and was placed on the Bureau’s Most Wanted List. She was involved in three bank robberies, the kidnapping and murder of two drug dealers, and the attempted murder of two policemen. 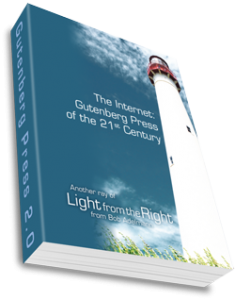 In May 1973 she and her brother-in-law, another BLA radical, were pulled over by two New Jersey State Troopers over a taillight violation on the New Jersey Turnpike. The traffic stop turned into a firefight. They opened fire on the troopers and in the melee that followed, Shakur grabbed one of the trooper’s firearms and fired two rounds into his head, execution-style. For that she was indicted and found guilty of first-degree murder (along with seven additional felonies) and was sentenced to life in prison plus 33 years. Cuban-trained terrorists posing as visitors to her prison “neutralized” the guards, rescued her, and put her into a getaway vehicle waiting nearby. From there she was transported to Cuba, where she was granted political asylum and the freedom to decry police brutality in America at every opportunity. It should also be noted that in May 2013, the FBI announced a $1 million reward for “information leading to the apprehension” of Shakur, whom the bureau designated as a “Most Wanted Terrorist.” The New Jersey State Police added another $1 million to the pot. When then-President Obama “opened” relations with the communist regime in Cuba, he was pressured by New Jersey Governor Christ Christie to demand the release to American custody the cop-killer, but nothing came of it. The NFL Player’s Union named Kaepernick the Week One MVP last month for his “charity” work. His sudden burst of patriotism may just be too little, too late for many NFL fans. This entry was posted	on Wednesday, October 11th, 2017 at 6:31 am	and is filed under Crime, Politics. You can follow any responses to this entry through the RSS 2.0 feed. You can leave a response, or trackback from your own site.